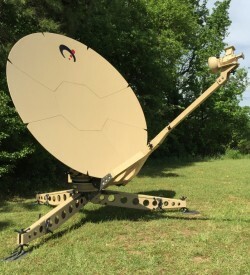 The Sat-Lite Technologies Model 1531 motorized flyaway antenna is highly portable, compact, lightweight, and can be assembled by one person in less than 15 minutes. The antenna features a 4 piece segmented carbon fiber composite reflector designed to provide exceptional performance in a lightweight package. The motorized elevation-over-azimuth pedestal provides excellent stiffness characteristics and convenience for the user when pointing and peaking on a satellite. The antenna and controller pack in 3 ruggedized shipping cases. 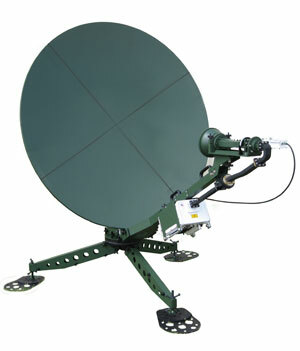 In addition, the antenna is designed to meet international performance specifications for commercial or military applications and is readily available in C, X, Ku and/or Ka band frequencies. Multiple feed configurations and paint schemes are readily available. 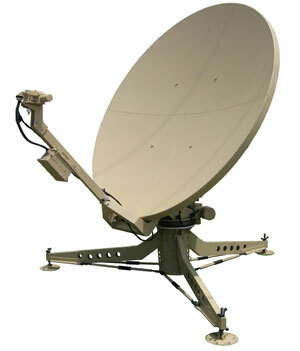 Whatever the industry, Sat-Lite can deliver a high performance flyaway antenna for reliable communication solutions. 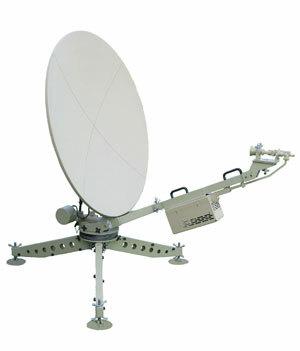 The Sat-Lite Technologies RC4000 Antenna Controller is a fully weatherized unit that is pre-integrated with the Antenna System. The unit can be supplied with GPS, Compass, and DVB receiver to provide accurate position and antenna heading information. Optional Beacon Receiver, Spectrum Analyzer, and multiple user interfaces are available. The control unit deploys the antenna to an accurate elevation and polarization angle and then sweeps in azimuth to locate a signpost satellite (with known DVB signal). The onboard DVB receiver locks on the satellite and positively identifies it. Accurate look angles can then be used to peak on the final target / desired satellite longitude. 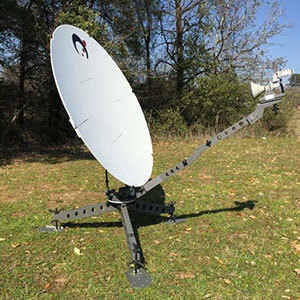 The Sat-Lite Technologies Flyaway Antenna Controller is a fully weatherized unit that is pre-integrated and can be quickly mounted on the Antenna. The unit comes with a GPS and Compass to provide accurate position and antenna heading information. The control unit deploys the antenna to an accurate elevation and polarization angle and sweeps in azimuth to locate a satellite. The onboard DVB receiver locks on the satellite and positively identifies it. Accurate look angles can then be used to peak on a desired satellite longitude.